Are you looking for a non-technical website builder? Exai's WYSIWYG web builder puts web design and management into the hands of non-technical people who run businesses. Everything you need in a Website builder. No prior knowledge or code needed! Get the job done with Exai! 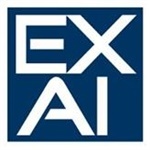 - No coding or design experience needed - Exai works on a WYSIWYG basis. You can see the real-time results changes, during building pages. - Templates - Automatically configured to synchronize with the field of your business. - Widgets - Predefined drag and drop widgets, enabling you to insert them easily and efficiently. - Keywords and On-Page SEO -Update the keywords, page description and headings from one place, easy and quick. - Mobile site version - Each website on Exai is mobile friendly. The items can be individually organized so that important buttons or calls to action are not left out. Do you still need help building your site and doing SEO? Any business owner that's too busy to do updates themselves can set permissions for service providers to do it for them. Flexible and secure, setting permissions is easy and provides you with the peace of mind that co-workers can work on any part of your site without tampering with the design, page structure, and media. You can outsource your content and SEO to qualified service providers in the Exai marketplace. Exai has developed an eco-system whereby qualified Exai professionals like photographers, SEO experts, and design professionals can provide best of the breed services to SMB's at a reasonable cost. 20-day FREE trial. No credit card details needed to sign up. Do you maybe Need a hand? We understand that even besides the ease of making a website on Exai, you as a business owner or busy professional, might not have the time to do this on your own. Exai has thought of that too! We are able to assign a designer from our talented designers' team, that will create your website. In this case, all you need to do is to provide the content that will be placed on your website.